DiversityComm, Inc. 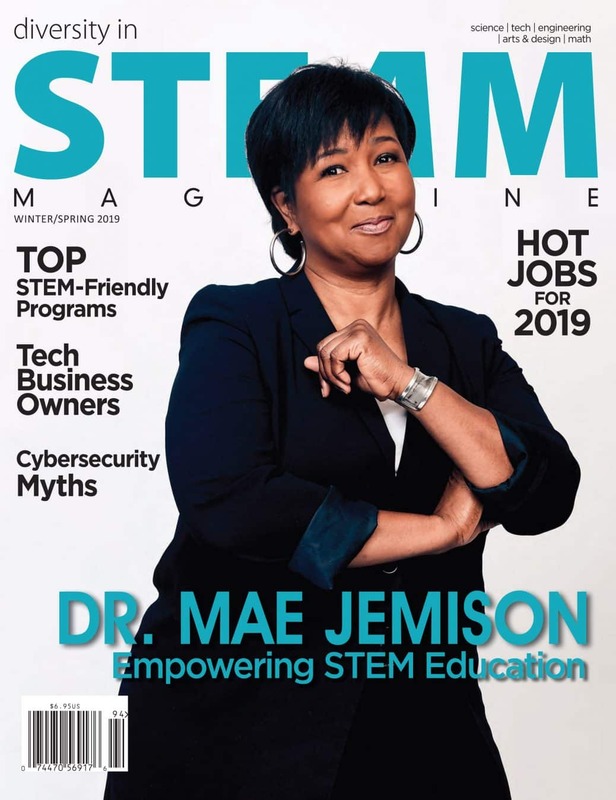 Methodology Each year, DiversityComm, Inc. (DCI) and its six diversity magazines conduct select evaluations of the nation’s Employers, Supplier Diversity Programs, Industry Leaders, Law Enforcement & Government Agencies and Schools. The evaluations also integrate findings by each magazine independently to identify “Best of the Best” in relation to outreach and accessibility to the minority, veteran, female, people with disabilities and LGBT population. These non-biased studies are a valuable resource for the publication’s readers, jobseekers, business owners, students, senior management, and consumers. The goal of the annual evaluations is not only to bring the latest information and guidance to our readers, but also encourage active outreach and diversity policies among corporations and government agencies. The studies are further designed to assist corporate and government leaders in evaluating their ranking by comparing and contrasting to their peers the success achieved within their industries and their measurement in diversity. An invitation to participate in the annual review surveys is available online at blackeoejournal.com, hnmagazine.com, professionalwomanmag.com, usveteransmagazine.com, diversityinsteam.com. and diverseabilitymagazine.com. Invitations are also sent out annually via email directly to Chief Diversity Officers, Human Resource Directors, Talent & Acquisition Managers, Supplier Diversity Directors, Deputy Council, PR/Advertising Agencies and Corporate Affairs Personnel within or on behalf of each organization. Approximately 1,000 selected emails are sent by invitation for this survey. Each company is given approximately three months to complete each survey and there are roughly 15-30 questions depending on the category. Questions are specific for each category: Employer, Supplier Programs, Corporation by Industry, etc. Because the answers were inspiring and informative, this year’s survey will include a release authorization to publish selected responses. We believe this question is important because while some companies may not yet have the results they desire, they are actively seeking, showing support, offering assistance, opportunity, and contributing financially towards community and diversity inclusion. Many of the programs being offered to women and minorities are worthy of recognition and may be helpful in guiding others to implement or expand on their own initiatives. Each year the survey results are remarkable and growing in strides. By sharing these unique responses, we hope to not only increases quality candidates, but encourage other companies to follow the lead and ultimately create a more diverse workforce. Completion of our annual survey is highly recommended, but not required as part of the evaluation process. The DCI Research Division reviews surveys and compiles their own independent data. This data includes public records such as 10-K Annual Reports, reader responses, market research, interviews, community, and conference participation. Also considered are the unique efforts made by human resource and supplier managers to actively seek diverse applicants and certified disadvantaged business owners. An analysis is performed that scores policies that support equal access, advancement and inclusion of all individuals regardless of race, color, creed, religion, national origin, age, marital status, disability, public assistance status, veteran status, or sexual orientation. Creating or joining a non-profit diversity group is one method of actively seeking diverse candidates that is also scored. Sponsorships and/or participation at non-profit diversity conferences also demonstrate commitment to diversity and EEO. DCI participates and distributes its diversity focused magazines to more than 250 conferences. The DCI Research Division vehemently reviews and records those who attend events and the extent of participation and sponsorship. Because DCI personnel physically attend conferences, we are able to see first-hand how corporations are participating and how eager they are to support global diversity. Conference participation provides the best visibility and exposure to these targeted groups. Some companies go beyond the call of duty and not only present career and business opportunities, but also hold workshops, sponsor luncheons, provide keynote speakers, offer career counseling, financial aid, valuable tools, and information to advance the communities. These are examples of companies who deserve recognition. As the magazine of choice for conference exposure and community outreach, we are in a unique position to evaluate those who regularly participate and support diversity as a whole. At the conclusion of the evaluations, the “Best of the Best” results are announced and published. Vehicles though which results are made public include the print magazines, digital editions, bi-weekly eNewsletters and press releases. The honorees are listed in alphabetical order and not ranked by number. Those who work together grow together.